Sorry cold voters, what was I thinking posting this? It isn't a cheap plastic laptop with a 1366x768 TN panel and standard warranty. Would the Asus Zenbook not better choice at this exact price? No touchscreen but better reviews (from very quick look). I've been looking at £400-500 light 14in laptops and I see you get an i5 and 4K screen for your extra £300 but not all that much else apart from maybe more storage. Would the Asus Zenbook not better choice at this exact price? No … Would the Asus Zenbook not better choice at this exact price? No touchscreen but better reviews (from very quick look). I've been looking at £400-500 light 14in laptops and I see you get an i5 and 4K screen for your extra £300 but not all that much else apart from maybe more storage. Which model in particular are you looking at? I've been avoiding Asus machines as of late as many lack a backlit keyboard which is inexcusable imo. 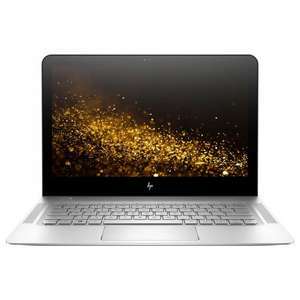 The price is good, but id rather pay a bit extra and get HP Spectre as Envys battery is nowhere near as good as on Spectre, so im not voting cold or hot. Which model in particular are you looking at? I've been avoiding Asus … Which model in particular are you looking at? I've been avoiding Asus machines as of late as many lack a backlit keyboard which is inexcusable imo. johnlewis.com/asu…old Also available in silver and has backlit keyboard. … https://www.johnlewis.com/asus-zenbook-ux330-laptop-intel-core-i5-8gb-ram-256gb-ssd-13-3-rose-gold/p3139963?navAction=jump&colour=Rose+Gold Also available in silver and has backlit keyboard.